Will Francesa’s pending return and the stir it created, while entertaining, end well for WFAN? Are you not entertained? Of course you are. Mike Francesa’s impending return to WFAN after a two-year farewell followed by a four-month hiatus is equal parts WrestleMania, “House of Cards,” “Lost” and Looney Tunes, only better because it is real. That is the most important thing about this for those of us with an interest in the local sports talk wars, which this week — incredibly — pushed aside other news including an NFL Draft in which the Giants and Jets pick second and third overall. This is a shock, even for the many people who were skeptical Francesa would leave when he said he would on Dec. 15. When he did, and WFAN installed not one but three people to replace him, it appeared a new era was at hand. Will it end well? 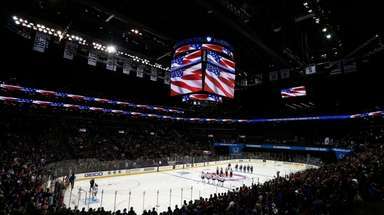 The smart money says no, given that comebacks in sports, entertainment and politics rarely do. After a short-term burst of attention when Francesa returns, likely next week, he will be open to listeners’ criticism — or worse, boredom — like everyone else, and will give ESPN’s Michael Kay another chance finally to catch him in the ratings. Add the damage to his reputation after basking in his departure tour — complete with sponsors, special events and even a Newsday documentary — and now displacing Chris Carlin, Maggie Gray and Bart Scott, and Francesa is up against it. So it is going to be mighty “awkward,” as Carlin admitted, when Francesa comes back to work. 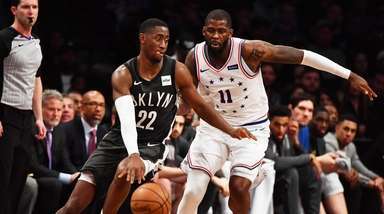 But WFAN recently was purchased by Entercom, a big radio company headquartered near Philadelphia, and executives there saw in Francesa a quick fix to a slow ratings — and revenues — start for “CMB.” Kay narrowly beat WFAN in the target demographic in the winter ratings book, which was a first. The details of the deal have not been announced - they might be by Thursday - but involve Entercom, Francesa and his recently hired agency, CAA. Esiason said Wednesday that Francesa is planning an app that would be part of the larger partnership. Hey, that’s show business. And let’s not cry too much for Carlin, Gray and Scott. For the next two years, they will get paid the same money to work about half as much, just as Joe Benigno and Evan Roberts will to work one less hour in middays. Francesa, meanwhile, presumably will make less in radio salary than he used to for a shorter program after not finding greener pastures in a new media home. So bruised egos aside, this is a clear short-win victory for Entercom from a business perspective, assuming everyone at 345 Hudson Street can find a way to co-exist without physical violence. It is quite possible that “CMB,” now afforded more time to grow under less pressure, will improve as a trio. But complications are sure to ensue next year, when the contracts of “CMB” expire and executives must decide what to do with everyone. Paying eight hosts from 6 a.m. to 6:30 p.m. likely is not a sustainable strategy. Might Benigno retire, freeing Roberts to be joined by one or more people in middays? Might Esiason decide he finally is tired of being tired all the time and leave mornings? Might everyone’s ratings continue the freefall of the winter ratings book? Sports talk is an increasingly stale genre with an increasingly aging listenership, such that citizens of the 2020s might well wonder why we cared so much in 2018. We shall see. It’s all part of the show. But for now the rest of us need not worry about such things. If Francesa and Carlin somehow get past their personal and professional differences, it would make for a good story. If not, even better! Having previously quoted Russell Crowe and Lee Corso here, it is Shakespeare’s turn: The play’s the thing. Enjoy the show. Mike Francesa helped revolutionized sports talk radio at WFAN with Chris "Mad Dog" Russo. Nine years since they split up, Francesa remains the top-rated host in New York. After 30 years at WFAN, 2017 is his last. Watch his final year unfold as Francesa's fans, colleagues and athletes from the New York area spoke about what it will be like to no longer have this icon on the air. 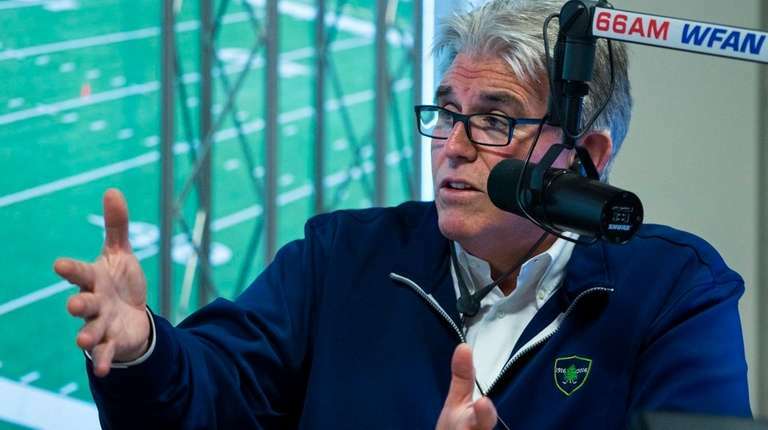 Mike Francesa: 'It is time to return to WFAN'Saying "it is time to return to WFAN," Mike Francesa told Newsday that after four months away from the station he is ready for a comeback.